Your child is growing up fast and ready for a little more independence, our infants, and toddlers club will be a perfect introduction. Our approach to learning and teaching is through child-centered play and education. We have fully equipped classrooms. Dream Children and Knowledge is Power Early Learning Program shares a combined 35+ years of highly qualified early childcare education and tutorial services. We strive to provide stimulating education beginning with early learners along with an educational experience which promotes each child’s social-emotional, physical and cognitive development. Our vision is to strengthen the force field linking parents, teachers, students and the community through collaborative engagement opportunities. We campaign for our scholars academically, intellectually, morally and spiritually. Our staff of professionals includes qualified teachers and other individuals who are eager to provide safe, enjoyable learning opportunities. We offer the structure, care and love of learning you want your child to experience. Our learning centers are designed to be a fun place! Our environment incorporates a love of children and positive energy. The space and state-of-the-art equipment invite children to learn and play. The main entrance provides both easy access and the security of an electronic lock system. Entry to the Center is only permitted upon visual identification and greeting by the staff members. Classrooms are accented with specific colors, and each room is identified with a creature so children will recognize their classroom. The walls also feature space to post art and projects created by the children. Children at the center will enjoy the equipment designed to encourage the development of large motor skills and fun! A large grassy playing area is located in the rear of the facilities. The common area will provide space for center activities and family-style meals/snacks served to the toddlers and older children each day. The center includes restrooms clean up. In-house laundry equipment allows the Center to provide clean blankets, sheets and baby items for the children. At Dream Children together with Knowledge is Power Early Learning, we strive to provide a clean, safe and educational environment for your child(ren). Within our care, your child will develop skills that promote physical, emotional, social and intellectual growth. We believe in being supportive to our parents, and we welcome involvement at all times. We further believe that within our environment, children can thrive and have the opportunity to blossom into responsible members of society. Our commitment and passion for growth and learning make us the right choice to provide your child with a solid foundation for the future, one that your child will possess for the rest of his/her life. We know that good nutrition contributes to effective learning in children. Studies have shown that eating breakfast regularly will boost your child’s ability to learn, to pay attention and even to get along with others. More studies have shown children who eat breakfast in the morning solve problems more easily and are less restless and irritable. Our nutrition program includes breakfast, lunch and snack. Each meal is nutritionally balanced and meets requirements. We motivate each child to become independent life-long learners by stimulating physical, emotional, social and intellectual growth. Our program supports the development of a positive self-image, and fostering creativity within our learners. Our staff is trained and required to receive on-going training to better educate our learners. 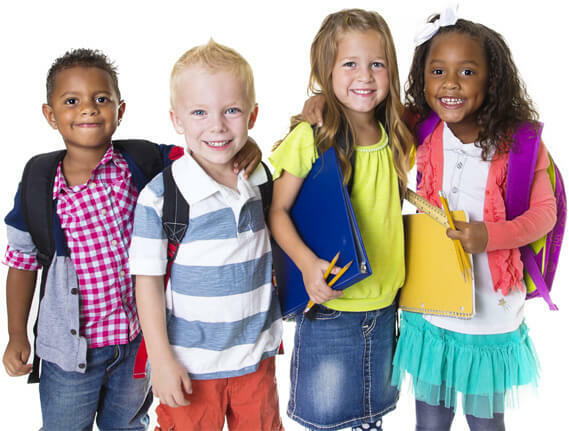 We strive to provide your family with the best child care services by offering strong educational programming and carefully crafted curriculum for every age group. Dream Children along with Knowledge is Power Early Learning has a high rate of successful scholars who have moved on and have mastered high test scores, maximum social skills and developmentally soared through the various stages of growth. Our parents have been very satisfied with our programs, the care and safety of their child and much more. We meet our state and local regulations and stay professionally and educationally fit to support our children.